Flash Player 10.2 Will Relax Your CPU? 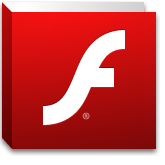 Adobe has just released Flash Player 10.2, which promises to ease the burden on your CPU during video playback. That’s always been a problem on the Mac platform. With a couple flash ads or videos loaded, my Macbook Pro heats up and the battery dies fast. I’m hoping that Adobe’s claims can put an end to this. Grab the new player at Adobe’s site.